Cumbria ACF is a leading youth training organisation based in the North-West of the England, delivering a programme of challenging military, adventurous and leadership training to young men and women aged from 12 to 17. 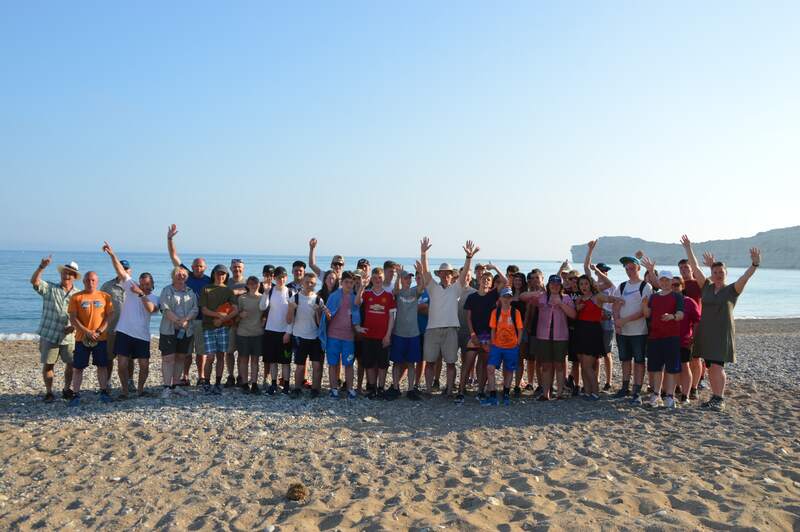 In May 2017, we took 35 cadets (over 10% of our strength), eight adult volunteers and five Mountain Leaders to Cyprus from 27 May to 3 Jun 17. The exercise aims were to give participants the opportunity to climb Mount Olympus, achieve passes in Army Proficiency Certificate (APC) Expedition and Navigation subjects at two and three-star level, and cope with challenging situations that are both mentally and physically arduous. Additionally, I was determined that the expedition would be open to all qualifying cadets, regardless of their parents’ financial situation. This exercise was the first major foreign adventurous training expedition in more than 20 years and the first county-level visit to our parent regiment, the Duke of Lancaster’s Regiment, since that regiment’s amalgamation in 2006. Thanks to the generosity of our sponsors and the Ulysses Trust, four cadets were fully funded to take part in the expedition. Deploying to Cyprus by overnight coach to Heathrow and a direct flight to Larnaca International, we arrived at Troodos Station on the afternoon of Saturday 27th May, 2017. The next morning saw a round-robin of training, covering heat injuries, hydration and nutrition, moving across rough terrain, personal hygiene in hot conditions and dangerous flora and fauna. 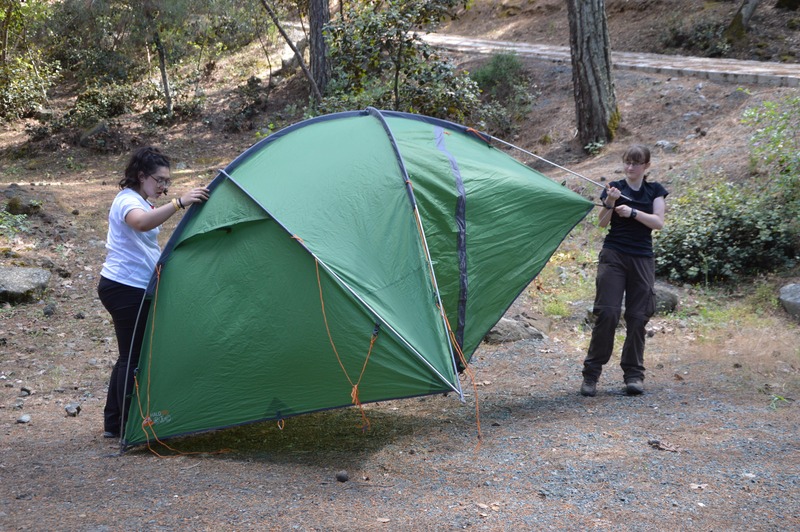 After this training, we packed our rucksacks and headed out on the Persephone Trail from Troodos Village to complete a 6 Km introductory walk. That evening, eight cadets found out more about life in the Army from soldiers of the Princess of Wales’s Royal Regiment. 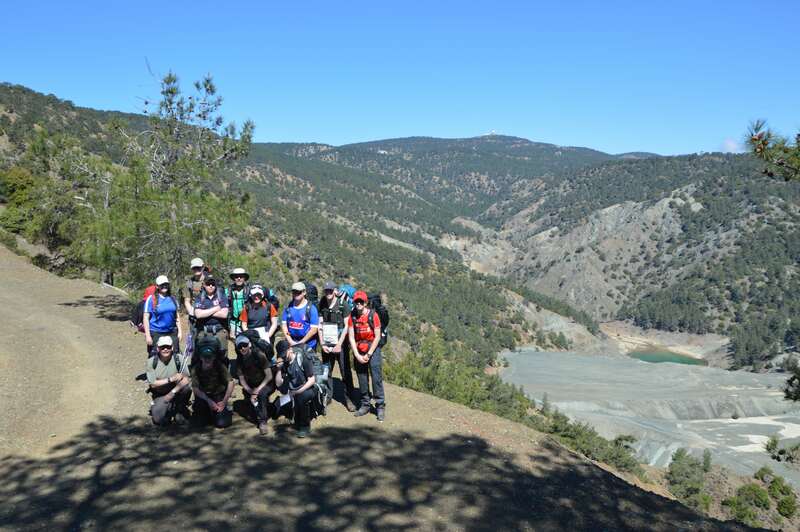 On Monday, we departed Troodos Station in four walking groups, heading South-East and down the mountain towards Platania Camp Site. The views to the West and East were spectacular, particularly of the Amiandos former asbestos mine. 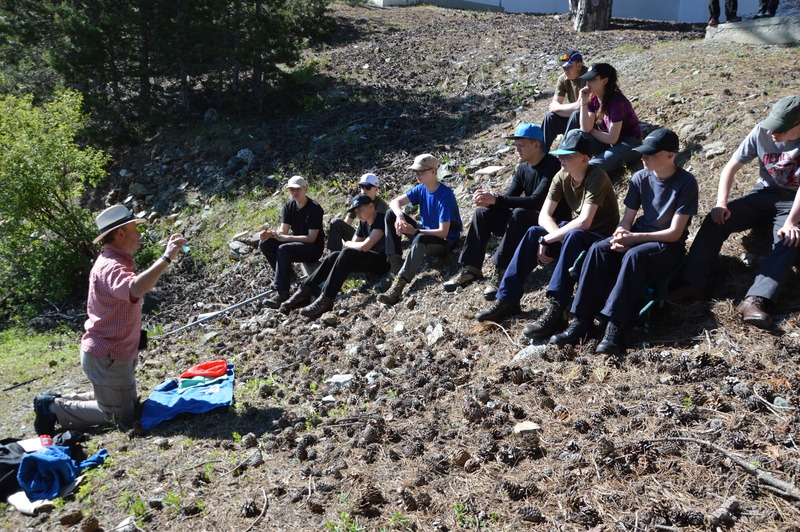 Thanks to their excellent training, the cadets excitedly recognized tarantula burrows and jumping spiders. For authenticity, one adult even managed to get himself bitten just to see what happened. It hurt. We arrived at Platania in the early afternoon, aware of how much hotter it was lower down the mountain and with a greater appreciation of the importance of keeping hydrated. Our camp site was genuinely Cypriot, with smells of pine trees and barbeques. With the tents up and meals cooked, there was time for a bit of socializing before our sleeping bags called. 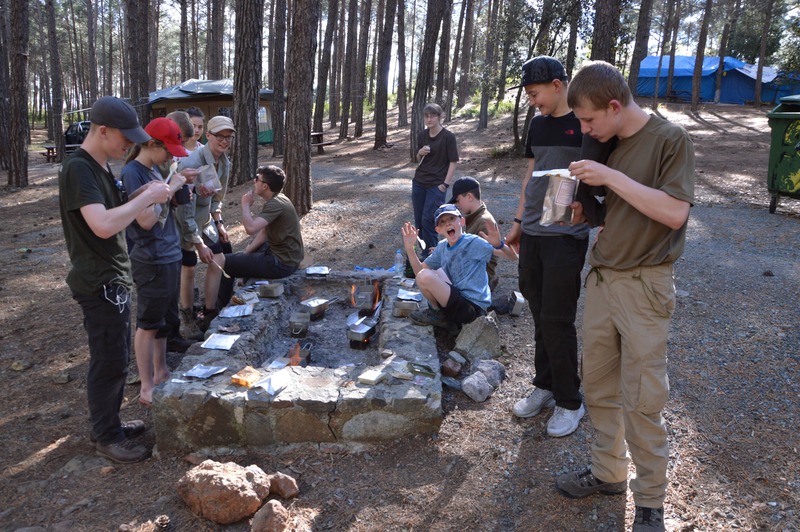 As our original three-day route wasn’t achievable with the age and training level of some of the cadets, we used the minibus to circumvent the steepest off-road sections and started a couple of groups on the Stavroulis Trail. The other two groups then started from camp on unmetalled roads, and the minibus brought them forward to catch up with the first groups later in the day. All the groups then walked the final section into the second camp at Kampi tou Kalogirou, a larger site with more room to spread out. On Wednesday, we took the walking teams to their start points and they trudged up Mount Olympus as far as they could get before coming into the security area. The remainder of the day consisted of walking the Artemis Trail, a spectacular 6Km circular route about 200m below the summit, taking in Alpine-style meadows, dried up river beds, plunging valleys, steep cliffs, ancient trees and ski lifts. After a cheeky ice cream at Troodos Village, we all walked back into camp tired but exhilarated. 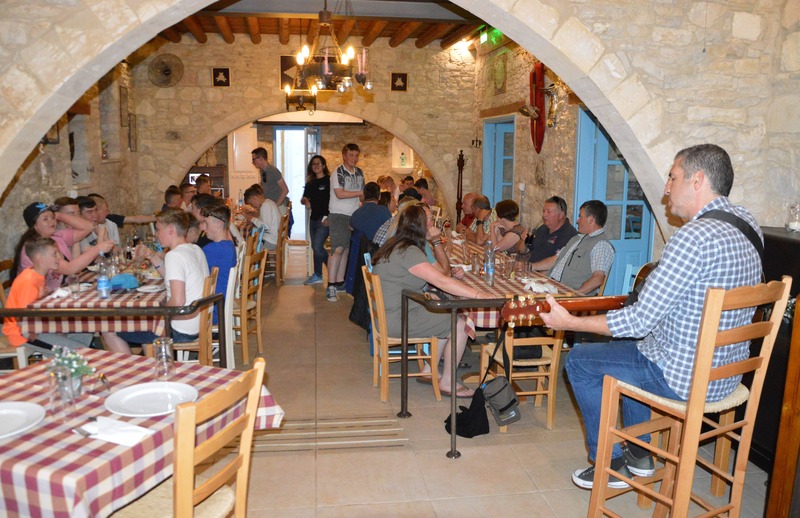 That evening it was on with the glad rags for a cultural visit with a difference – a full-blown Cypriot Meze in a genuine Taverna. For some of our cadets, this was a new world of gastronomic pleasure or, in some cases, the “I’m not eating that” look. But the evening was a great success, with entertainment by a local guitarist and traditional Greek dancing. Thursday 1 Jun saw us parade in uniform for an inspection before saying goodbye to Troodos Camp and travelling by coach to Episkopi Sovereign Base Area. There, we marched proudly onto the parade square of 1st Battalion the Duke of Lancaster’s Regiment. 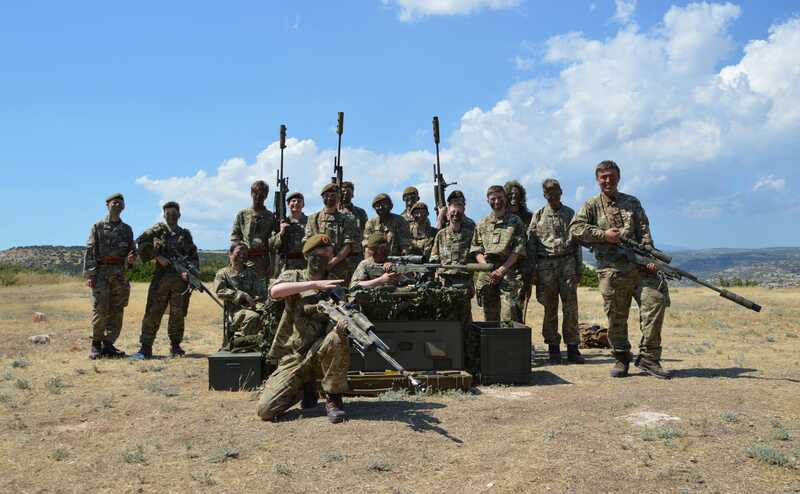 The cadets spent the day with either shooting on the ranges, trying out the support weapons or working with the sniper platoon, something they hugely enjoyed. Forces TV recorded us. That evening saw us all in the pool for the Military Swim Test prior to Fridays’ water sports, which was the day that most of us had been anticipating. Down at the Water Sports Centre on Tunnel Beach, the kneeboarding, wake boarding, turtle tours and swimming certainly didn’t disappoint, particularly when combined with endless ice creams, BFBS radio (on which some of us were interviewed) and a massive barbeque with the inevitable sketches to finish it all off. Returning on Saturday with another overnight coach trip from Heathrow (some without their luggage) saw us back at Carlisle Castle on Sunday morning having experienced a half term like no other. Our thanks to the Ulysses Trust, North-West RFCA and our sponsors for supporting this amazing venture and making a difference to the lives of so many cadets and adult volunteers.